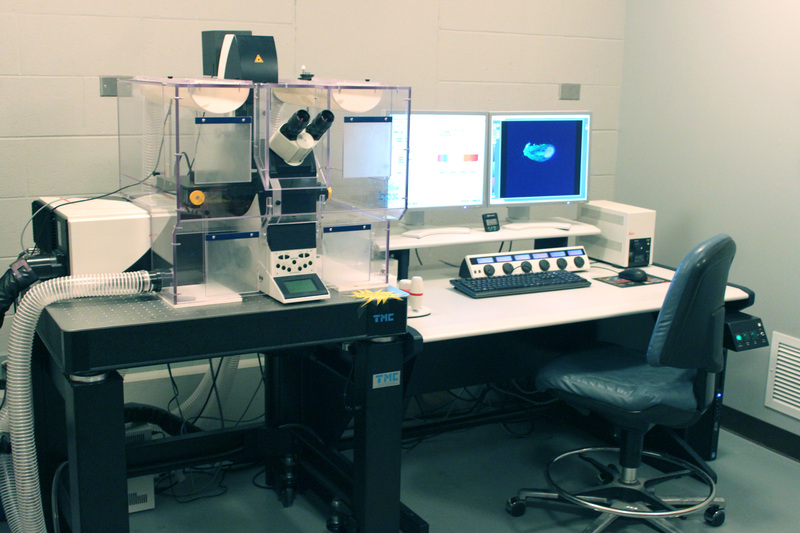 Description: The LSCM is used to study fluorescently labelled live or fixed cells, tissues, and small organisms. By removing the out-of-focus light, the image quality is improved compared to widefield fluorescence microscopy. The Leica TCS SP5 is equipped with several lasers: a 405 Diode, an Argon (458, 476, 488, 496, 514), a HeNe543, a HeNe594, and a HeNe633. Signals from four different fluorophores can be detected simultaneously by using the spectral detector. A fully motorized stage and easy-to-use LAS AF software allow for large data set acquisition (z-series, stitching, time-lapse, etc.). 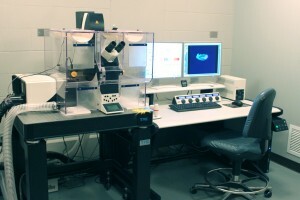 Training includes a lecture, a demonstration, and hands-on microscope instruction.